With the ever-increasing technology in performance and racing engines; supercharged, turbo charged, nitrous oxide and extreme compression ratios, a demand was created for stronger, more durable engine gaskets. Mr. Gasket, the originator of High Performance Gaskets, has met the challenge and developed performance gaskets in a variety of materials for all applications to meet the sealing demands of these engines. 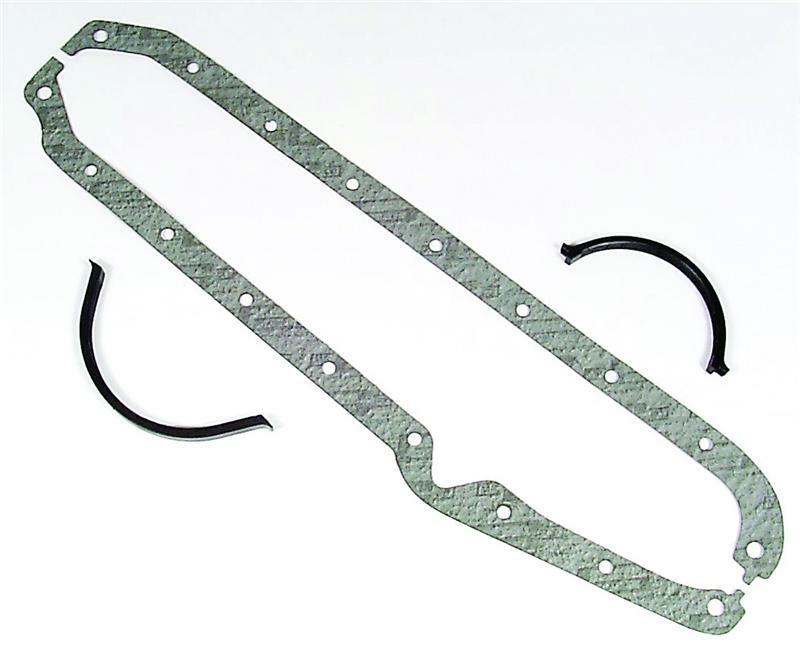 Mr. Gasket engine gaskets are the most advanced, tested and proven in the performance market today and earned the respect of many professional and sportsman racers. Manufactured from high-density cork /rubber blend gasket material. Complete with molded rubber front/rear oil pan end seals where applicable. For OE replacement and high performance street use. Manufactured from cellulose/nitrile rubber composition gasket material. One piece molded construction provides a tight leakproof seal.